Do you know a practice who goes beyond the norm to ensure the wellbeing of their staff? 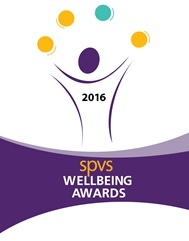 Then why not make sure they are nominated for this year's SPVS Wellbeing Award? SPVS, who are holding the award in partnership with the RCVS Mind Matters Initiative, have provided an example of an nomination, but are also hoping the 750 word limit includes client and/or staff quotes, as well as photos. Branches or whole practices can be nominated and there are three different categories depending on the number of practice staff. The closing date is the 31st October and entries can be made here. Prizes include passes to the SPVS/VPMA Congress 2017, together with banquet tickets and accommodation at the five star Celtic Manor resort where the winner will be announced. At our practice we fully understand our duty to our employees with regards to all aspects of mental health. We have systems in place to safeguard the wellbeing of each staff member. 1. A buddy system. Each member of staff has another with whom they can share any issue affecting them both in and out of the workplace. 2. Clearly defined roles and responsibilities so each staff member feels empowered to make decisions appropriate to his or her role in the business. They have a say about how they do their work, with support from management and colleagues. 3. We operate a zero tolerance policy with regards to bullying and harassment, all management is trained to look out for signs of bullying and in our appraisal procedure we include questions with regards to this. 4. Annual practice SWOT process where all team can hear about new plans and give their feedback and ideas. 5. Quarterly whole practice meetings to bring everyone together to discuss successes and inform them of key activities going on in and around the business. 6. Mortality and morbidity meetings to discuss difficult cases and potential mistakes. 7. 360 appraisals for all staff held prior to each annual appraisal. 8. CDP allowances for all vets and nurses and for those reception staff who ask for them in their annual appraisal. 9. Regular in house CPD training to share best practice and train new staff members. 10. Daily sandwich van selling hot food and salads. 11. A folder in the staff room with leaflets for confidential helplines covering legal, health and HR advice. 12. Morning and evening staff meetings. Each morning all our staff are gathered to discuss key activities for the next shift. 13. Return to work interviews after any absence, providing employees with an opportunity to discuss why they were absent. It can also lead us to we introduce new practices that prevent a repeat occurrence. 14. Staff are encouraged to take regular breaks. 15. Each new staff member has a full induction of two weeks to meet all the key people in the business and understand where their role fits in the wider team. During this time, a full development plan including all training and experience needed to develop further within their role. 16. Money off local gym, swimming and exercise classes at local sports centre. 17. Our team leaders have received stress management training processes. 18. We have a fully equipped staff room with sofas, a TV and kitchen area, so staff can prepare food and relax together. 19. We provide chilled, mineral water in dispensers around the building and caffeine free alternatives to tea and coffee are available in the staff room. 20. We have a cycle rack outside to encourage staff to cycle to work and showers at work. 21. Each year, we enter a team of nurses in to a local fun run, Race for Life 5K. 22. We have various social events and we provide each employee with an opportunity to organise an event. This ensures each employee has input into social occasions. Events we have held have included: barbeques, paintballing, kayaking, boat trips and go karting. 23. We have an annual open day / dog show to encourage our clients to see behind the scenes and raise money for local charities. 24. Every autumn, we invite a guest speaker who specialises in mental health to speak to all our staff. This is to tackle the stigma attached to mental health. 25. Every Christmas we host a dinner dance, with a Secret Santa for all staff to take part in. 26. Once a month we hold a team leaders meeting and the main points and actions are emailed to all staff members for them to feel part of the wider team. 27. A monthly ‘Bake Offs’ - making cakes for charities and fun days to such as Sports Relief, Comic Relief and Children in Need. 28. We provide fresh fruit in the staff room to encourage healthy snacks. 29. The Book People bring in their books, so staff have something to look at during break times.